In this post, we’ll showcase some gorgeous diamond painting art and also curate a list of high quality kits you can buy to get started with this addictive craft! Diamond painting is an enjoyable and simple activity for enthusiasts irrespective of their age. This painting technique is becoming increasingly trendy for various reasons. From developing fine motor skills and concentration ability to uncovering hidden talents, relieving stress and more – you can do a lot with a diamond painting kit. And you will be having all these benefits while creating colorful, sparkling patterns and designs, which in itself is a creative and fun activity. In addition, you can complete even larger and intricate designs within a couple of days using the simple technique of diamond painting. 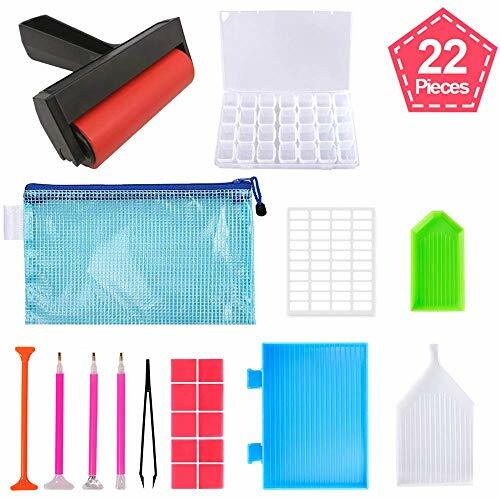 Perfect for Diamond Painting: Our tools kit include 4 different types of diamond stitch pen, 3 different types of plastic plates, 10 pieces 1*1 inch glue clay, 1 piece plastic point tweezers, 1 piece transparent tool bag and 1 piece 28 slots storage box, total 20 pieces, perfect gift ideas! 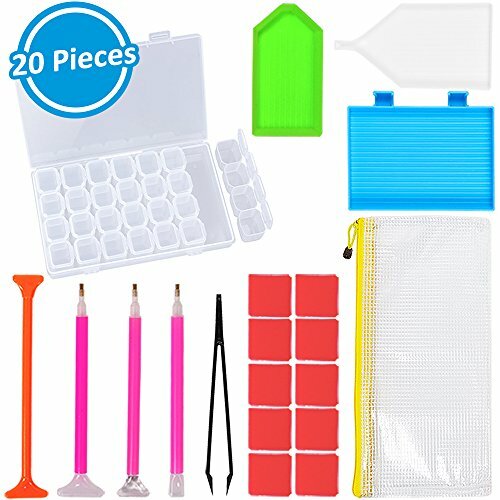 Full Kits: Oil painting canvas, diamond-cut color rhinestone beads, stone tray and diamond sticky pen for sticking the rhinestone beads on the canvas. When you step into the exciting world of diamond painting, you’ll find that there’re lots of things to learn to create stunning pictures. Like any other craft, there’re some effective tips for diamond painting as well that can help you eliminate most of the minor issues that you may experience as a beginner. Here’s a quick rundown of them. If you want to learn more about diamond painting tips and tricks, take a look at this post. 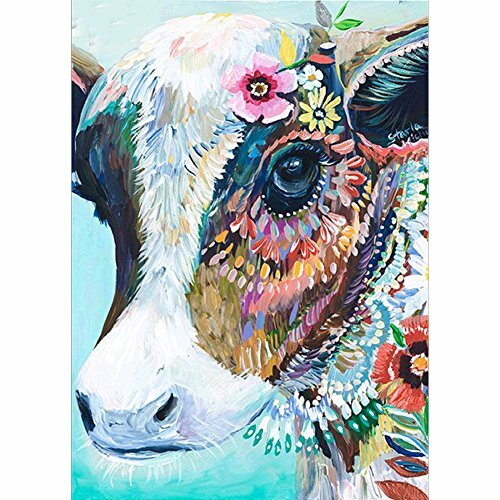 When you first decide to take up this enticing craft, it can be an extremely uphill task to purchase your first diamond painting kit. With lots of varieties, variables and options, it’s easy to get overwhelmed. Here are some standard guidelines that would make your job a tad easier. There’re a huge number of images that you can use for diamond painting to create a work of art. From religious images to fantasy pictures to abstract arts – you can make almost anything using this craft. So, choose your preferred image on which you’ll be able to concentrate for a prolonged period. Now, the term “drill” comes into the process. There’re two types of drills available: full drill and partial drill. The former stands for the entire image being crafted using stones while the latter refers to only certain highlights being made using stones. Remember that a full drill will take much more time than the other one, as you’ll be covering more spaces. 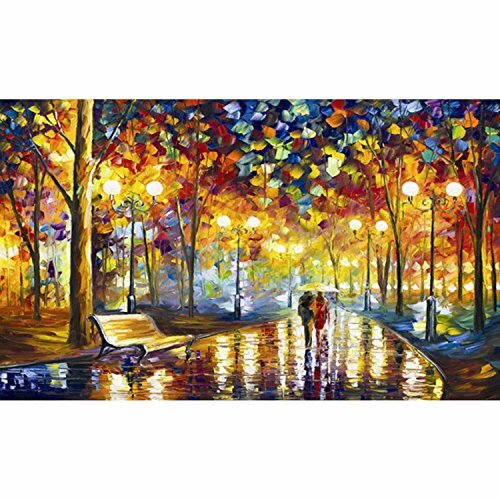 Canvas size is yet another crucial aspect of buying a diamond painting kit. They come in different sizes like small, semi-small, medium, semi-medium, large and extra large. It’s time to learn what should be there in a standard diamond painting kit. Though the entire range of materials may vary depending upon the brand you buy, basic materials should include the drills you need, a pen tool, and glue. Finally, remember to focus on the packaging of your kit. Look to buy from those diamond kit manufacturers that offer sturdy packaging box to avoid your canvas being crushed. 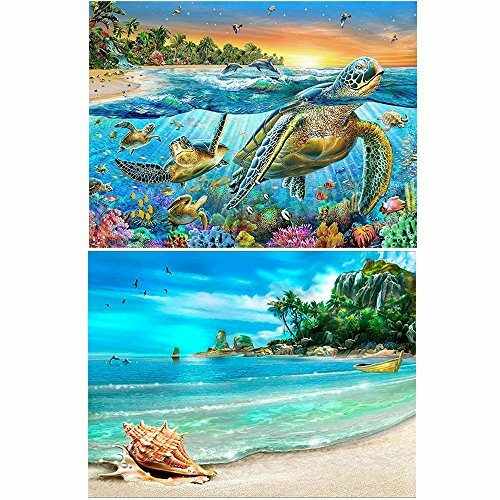 Diamond painting kits let you enjoy the craft of diamond painting. The basic concept of diamond painting is the same as paint-by-numbers and mosaics. You use little diamond-like facets to make colorful patterns and designs to make a larger design that sparkles after being completed. Thus, with a diamond painting kit, you can enjoy this creative, relaxing and fun activity for hours. Before you begin, make sure to lay out all the pieces of equipment and materials so that they’re within easy reach on something like a craft table. Also, read the instructions first to get an overview of the creative process. Lay out your canvas on a flat, clean surface. There should be a chart directly printed on the canvas with your diamonds, which are labeled with a number that relates to a symbol. Match the corresponding color of your diamonds to the symbols and place them on your canvas accordingly. Pour a handful of diamonds in your tray. Remember to gently shake the diamonds back and forth to help them settle with the right side up. It’ll make easier for you to pick them up with the applicator. Now, peel back the plastic cover on the wax and fill the applicator with it. It’ll help the diamonds to stick to the point of the applicator. Now once you’ve picked up, press the diamond carefully onto its corresponding symbol on your canvas. Repeat the process until you’re done. It’s advisable to start your work from the bottom and make your way up. Ideally, you should start with a single color diamond. Also, make sure that the applicator holds a little more of wax if the tool seems like it can’t pick up the diamonds anymore. Once finished, remember to keep some heavy books atop to make sure all tiles are in place firmly. Finally, get the piece framed and hang it on the wall to showcase your skill. You can watch this tutorial to learn the process thoroughly and understand how easy the craft is. 5D diamond painting refers to the form of painting with diamonds and helps the finished artwork have a special appearance with very real-world effects. In a 5D diamond painting kit, the materials remain similar to that of a 3D diamond painting kit with the key difference being the number of facets, which the gems have. Here, each side of the diamonds comes with 5 facets that offer a more sparkling effect. If it seems a little complicated, watch this video to get a solid grasp of 5D diamond painting. As a first-timer, you may not pay much attention to the image’s dimensions when buying your diamond painting kit. 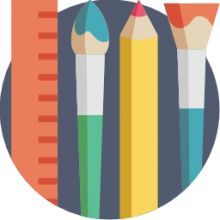 An equally important thing is to know about the difference between picture size, pasting area, and canvas size. As a beginner, you may think all these to be the same but they aren’t. Just remember that the canvas is bigger than the picture as it’s the background of the image. And that full coverage diamond painting means the entire picture is your pasting area. It’s often said that bigger is better when it comes to choosing the size of diamond painting. And that’s true since a bigger picture means sharper details and better resolution of the finished painting. As a result, the picture would shine more. However, a bigger picture can be overwhelming and tiring for a beginner to finish. 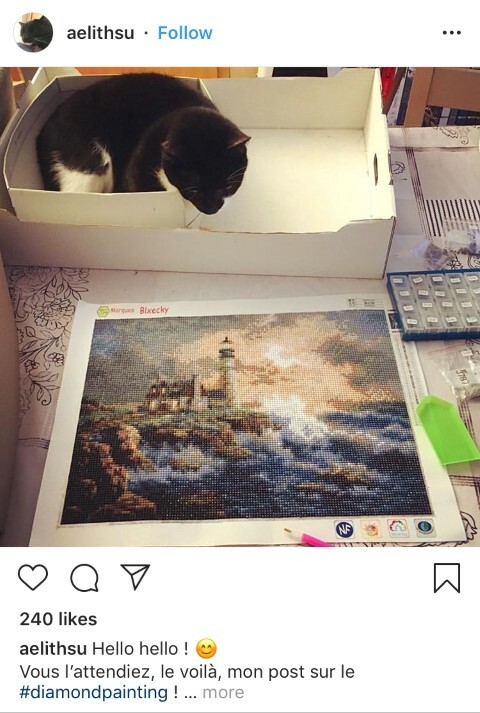 In case you are just starting out with diamond painting kits, take up a picture of small size because for you, the smaller it is, the better and easier it would be. Frame: How to frame diamond painting is a very common question. And that’s understandable as this is the easiest way to jazz up your interiors. This video can help you get it done the right way. Some people prefer to remove the frame’s glass pane as they believe it makes their design’s sparkle appear dull. You too can do the same if you wish to. Pillow: If you have a chair or a sofa in your living room, you can use your painting (if it’s of the right size) to create a sparkling accent pillow for your furniture. You just need to select a coordinating fabric to make a border and backing for your pillow, which you can then fill tightly with fiberfill or pillow forms. However, to clean your pillow when the fabric becomes soiled, avoid scrubbing, dry cleaning, or washing. Instead, wipe it gently using a damp cloth. Wall Hanging: A fabric wall hanging is yet another way to showcase your diamond painting provided you have some basic sewing skills. You would need to select a coordinating fabric to make a border and backing for your diamond painting wall hanging project. Book Cover: Though this isn’t a popular way, you may think of creating sparkling covers of scrapbooks and photo albums. You will need to trim your finished design to the desired size and stick it to a smooth, flat album (or book) cover using double-sided foam tape. If you have multiple diamond designs that you want to use for the purpose, you may even use hook-and-loop tape so that you can interchange your designs to bring more variety! There you have it- a complete guide to the craft!